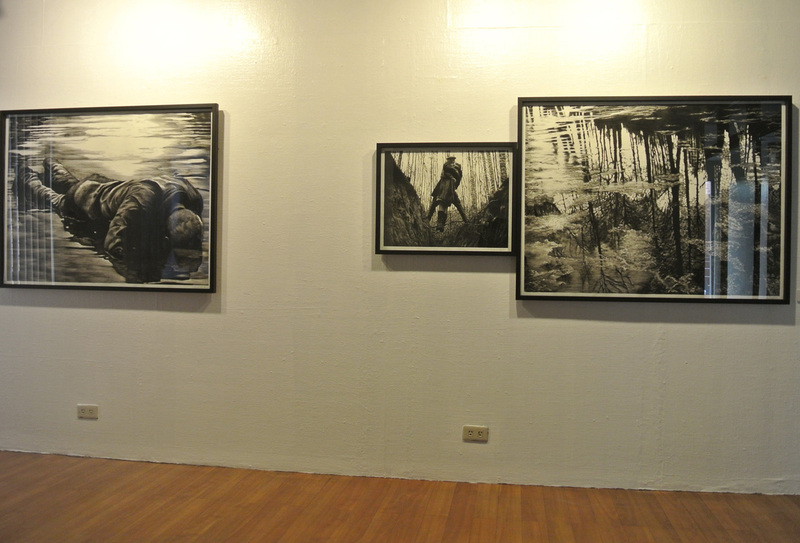 Mirror is the second part of the trilogy, Pictures from Deluge, a series of drawings that Victor Balanon is presenting in three installments. 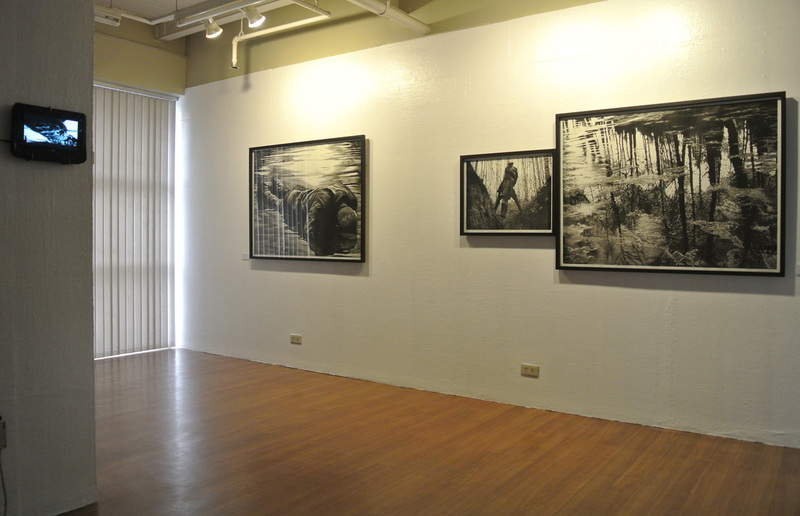 The first exhibit, titled Through a Glass Darkly, was held in 2011 at Blanc Gallery. The drawings are copies of images from film stills, portraits, family pictures, and photographs from history and the natural sciences. 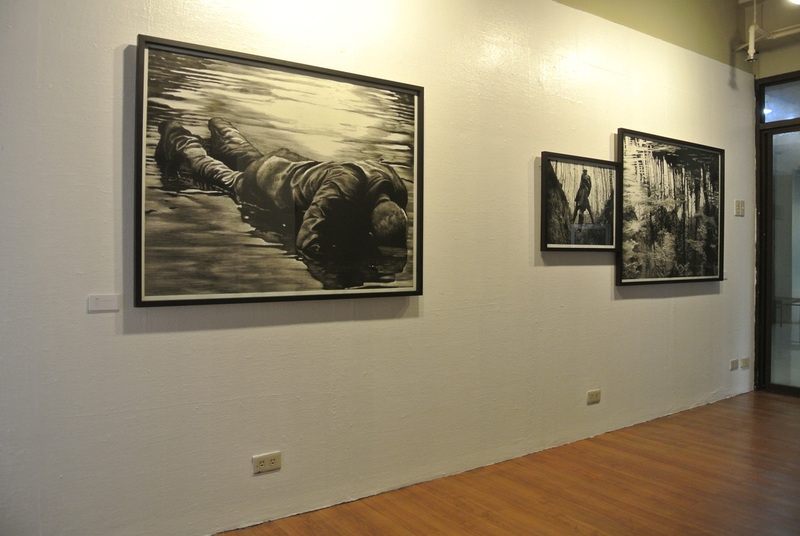 The idea for this three-part series began with the aftermath of the flooding due to typhoon Ondoy in 2009. Balanon became interested in observing how people tried to salvage heaps of family pictures that were ruined by the flood and the futile attempts to restore or save them. 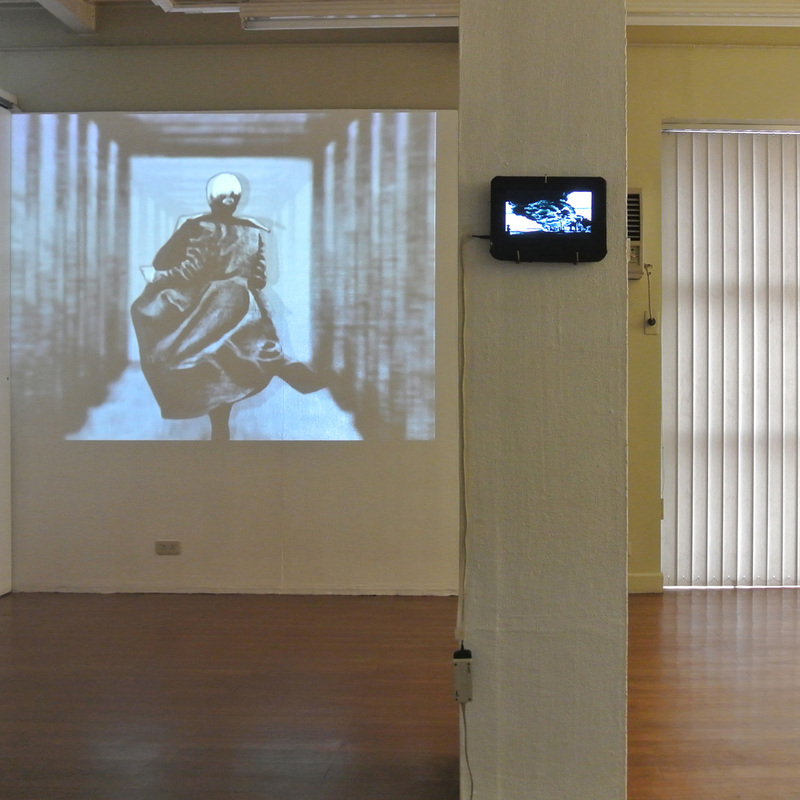 It was as if the images assumed abstracted forms and rid themselves of meaning, notes Balanon. 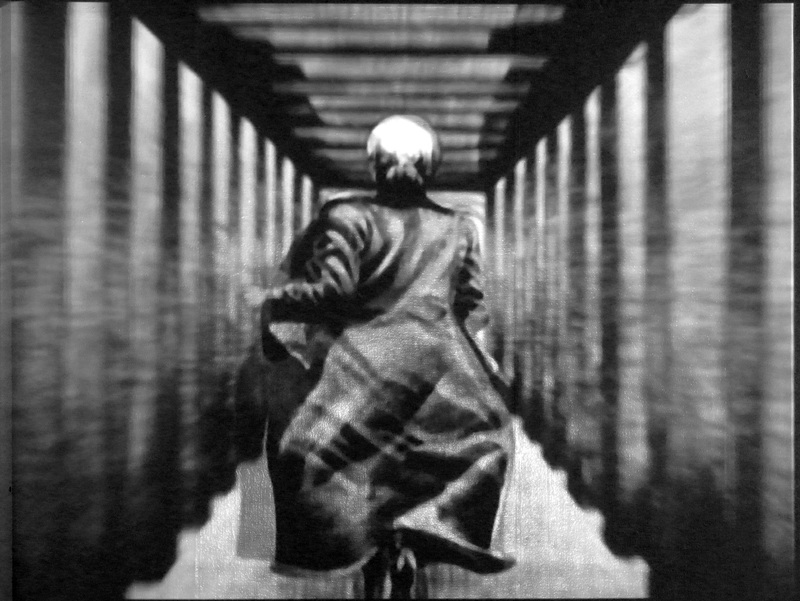 However, he does not dwell on the tragedy and sees the “happy” kind of abstraction from producing multiple possible meanings and boundless potential for fiction. 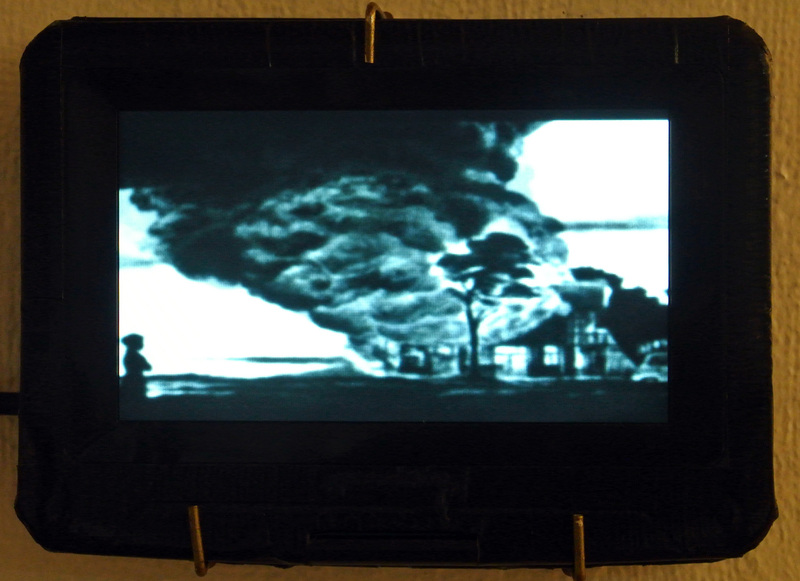 In Mirror, Balanon appropriated images from the films of Andrei Tarkovsky, adopting the non-linear, collage-like montage of vignettes from the film of the same title as the framework of the exhibit. 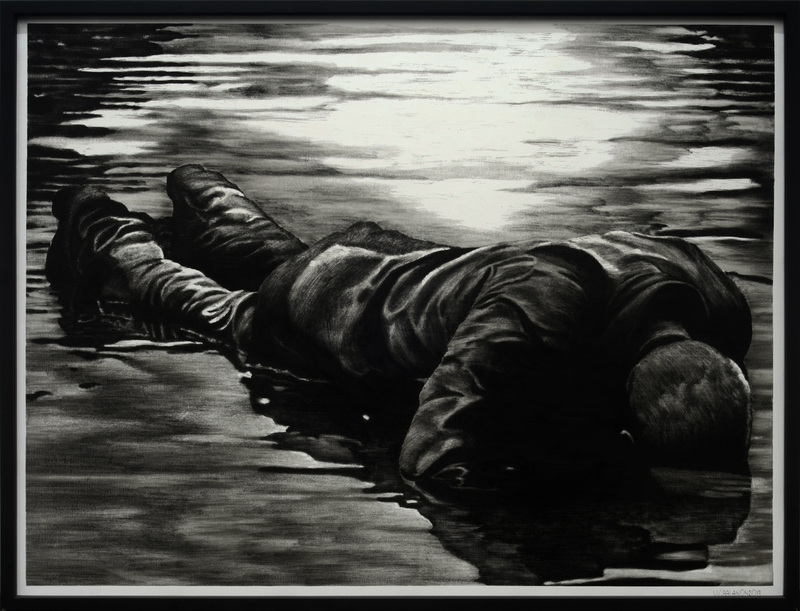 The artworks are named after the English titles of Tarkovsky’s films, such as “Ivan’s Childhood,” “Sacrifice,” and “Stalker.” Apart from the still images, Balanon also created two animated videos to depict two scenes from the film. The exhibit is partly an homage, partly an exercise in formalism and appropriation, and partly an exposition on how images operate.